Today, Juvéderm® has become one of the most popular minimally-invasive dermal fillers available for facial rejuvenation. It can make an excellent option for filling in small, vertical lines (parenthesis lines) around the corners of the mouth, as well as smoothing deeper nasolabial folds (running from the nose to the mouth) and glabella lines (between the eyebrows). In addition, Juvederm® can add natural-looking definition and volume to facial tissue while sculpting areas like the cheeks and chin. The filler is also one of the most requested noninvasive treatments for adding volume and shape to the lips. The Juvéderm® family of fillers are smooth and long-lasting, composed of hyaluronic acid (HA). This gel-like substance is found naturally in our skin, holding in moisture to create plump cells and form a scaffolding for healthy tissues. Juvederm® offers immediate benefits, and over the coming months, the HA will continue to draw in moisture for exceptional, long-lasting results. The filler holds little to no risk for serious complications. As Juvederm® is biosynthetic and of non-animal origin, no allergy testing is necessary prior to administration. These before & after photos are from a specific patient. Results may vary. Schedule a personalized consultation with our doctor to learn more. Prior to your Juvederm® session, a consultation will be scheduled with our board certified physician, Dr. Swapna Gopathi. During this appointment, she will perform a structural examination of the facial skin and anatomy. After carefully reviewing your medical history and discussing your desired aesthetic goals, an individualized treatment plan is developed. Addressing your areas of concern, other recommendations besides fillers will be made, including chemical peels, physician grade skincare products such as Skin Better Science or Revision, and microneedling with SkinPen®. Your Juvederm® injections can be performed immediately following the consultation. We take pride in that only board certified physicans will be the ones at our practice to gently inject the filler using a very thin needle. This ensures the safest and most satisfying results, without the risk of looking ‘frozen’ or stiff. The entire Juvederm® injection process typically takes about 30 minutes to complete, although this can vary depending on the location and number of areas treated. Juvederm® injections are extremely well-tolerated and only mild discomfort is reported by most patients. For additional comfort, Juvederm XC is premixed with lidocaine, gently numbing the treatment area with each injection. No downtime is necessary with Juvederm®. Patients are free to return to work, school, and their normal routine immediately after treatment. Depending on the individual patient and the region(s) being treated, the effects of Juvéderm® last approximately six to twelve months, sometimes longer. WHAT AREAS CAN BE TREATED WITH JUVEDERM FILLERS? Juvéderm® Ultra XC is primarily used for facial contouring, instantly adding volume to superficial tissues, helping improve the appearance of moderate to severe lines and wrinkles. The smooth HA gel is perfect for adding subtle contour to areas with age-related volume loss. Juvederm® Ultra XC is an excellent choice for smoothing nasolabial folds, deep forehead wrinkles, glabella lines, and cheek furrows. It is also a common choice for plumping and defining thin lips. Premixed with lidocaine, injections with Juvederm Ultra XC are easily tolerated. Juvéderm® Ultra Plus XC is created with a thicker gel formula, designed to add volume and smooth deep facial lines. The filler is applied farther into tissues that other products, giving it an added ability to treat moderate to severe folds and wrinkles mainly around the nose and mouth, such as the nasolabial folds and marionette lines. Juvederm® Ultra Plus XC can also be used to add volume to depressed areas along the cheeks or jawline. Meticulously sculpting and contouring the features, Juvederm® Ultra Plus XC is often used as part of a liquid facelift. Containing lidocaine, most patients are completely comfortable during treatment. Juvéderm® can play a significant role in any facial rejuvenation program and offers aesthetic benefits for the right candidate by improving or preventing facial wrinkles. During your confidential consultation, the treatment team at Body by Ravi Plastic Surgery and Aesthetics will discuss all of your options, creating a personalized aesthetic plan to achieve your desired results and match your lifestyle. Juvederm® is approved by the Food and Drug Administration (FDA) as a safe dermal filler for plumping moderate to severe facial lines and replacing age-related volume loss. The most common side effects of Juvederm® include redness, tenderness, mild injection site bruising, and light swelling. However, these side-effects are minimal and normally last from a few hours to a few days. Intermittent ice packs will help to reduce swelling. Over-the-counter pain medications can relieve any lingering tenderness. More serious complications, such as infection or nerve damage, are extremely rare, especially when Juvederm® is applied by an experienced, board certified physician. The Brilliant Distinctions program allows patients to receive special discounts with every Allergan purchase. When you become a member of the Brilliant Distinctions® Program, you will receive one-of-a-kind offers, exclusive invitations, and a private membership to the Brilliant Distinctions® Points Program.  These points are redeemable for dollars off on select Allergan products and services in the future, meaning the more you spend, the more you save. Your points can also be used at the Brilliant Distinctions Mall, for dramatic savings on purchases from thousands of online retailers. Earn Brilliant Distinctions® points each time you get Botox® Cosmetic, Juvéderm® treatments, CoolSculpting, or purchase an eyelash treatment from Latisse®. Dr. Ravi Somayazula is a board certified plastic surgeon, with over 10 years of aesthetic experience. Dr. Ravi is an alumnus of Rutgers University and New York College of Osteopathic Medicine. He completed his general surgery residency at the University of Massachusetts at Berkshire Medical Center and finished a competitive Fellowship in Plastic and Reconstructive Surgery at Lahey Clinic and Brigham and Women’s Hospital at Harvard Medical School. His associate, Dr. Swapna Gopathi is board certified by the American Board of Internal Medicine. An anti-aging specialist, Dr. Gopathi has over a decade of experience bringing patients innovative noninvasive and surgical treatments for a younger looking appearance. Dr. Gopathi received her Bachelor Degree and Doctor of Medicine from the University of Louisville. Body by Ravi Plastic Surgery and Aesthetics is not the average plastic surgery practice. Dr. Ravi and Dr. Gopathi strive for a patient-centered approach to care and a boutique-style experience. To learn more about Juvederm®, visit Juvéderm.com or contact us today at 281.242.1061.  Located on the Katy Freeway, Body by Ravi Plastic Surgery is central to everyone in the Houston area. Juvederm® is a smooth gel dermal filler, used to plump the skin, smoothing fine lines, erase deep facial creases, and replace volume loss. Created from hyaluronic acid, a naturally occurring substance found in the skin, Juvederm® can instantly smooth the tissues and add contour to the cheeks and jawline. As the HA draws in moisture and boosts the natural production of collagen, the results from Juvederm® will last for months. What areas can be treated with Juvederm®? Juvederm® is made from a smooth, gel-like formula, perfect for treating moderate to severe facial lines and wrinkles. The injectable is often used to smooth nasolabial folds, forehead lines, and Frown Lines, as well as add volume below the eyes and along the cheeks. The filler can also add a soft fullness and definition to thinning lips. Am I a good candidate for Juvederm® Injectable Gel? The Juvederm® family of fillers are a good choice for almost anyone looking to smooth the facial lines or contour areas of lost volume.  The ideal candidate will be in generally good health, with a good understanding of dermal fillers, and realistic expectations for the results. Juvederm® is safe for all skin types and ethnicities. When can I return to work after receiving Juvederm®? Little to no downtime is needed after Juvederm® injections. While temporary swelling and mild bruising are common, these can easily be concealed under makeup. Work and school can be resumed right away, however, exercise should be avoided for the first 48 hours to avoid any additional swelling. Treatment with Juvederm® is not considered painful, although patients may note a pinch and pressure with each injection. For optimal patient comfort, Juvederm® Ultra XC and Juvederm® Plus Ultra XC are premixed with lidocaine, a local anesthetic, numbing the treatment area with each injection. How long will my Juvederm® results last? The benefits from Juvederm® can be seen immediately and will continue to look good for six to twelve months, depending on the individual patient and the treatment area. What are the side-effects of a Juvederm® treatment? The Juvederm® family of fillers are FDA-approved, considered a safe and satisfying treatment for age-related lines and volume loss. Side-effects are normally mild, including redness, tenderness, mild swelling, and bruising. These issues will resolve over the following week. More serious complications, like infection or nerve damage are extremely rare, especially when patients choose an experienced aesthetic provider for their Juvederm® treatment, such as Houston’s Dr. Ravi or Dr. Gopathi. Swapna Gopathi, MD is a highly experienced, board certified anti-aging and cosmetic physician, specializing in rejuvenative medicine. With her guidance, you can rediscover your youthful appearance. 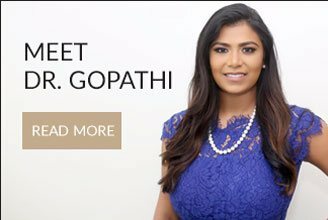 Practicing in the Houston-area for close to 10 years, Dr. Gopathi brings her patients innovative and transformative solutions to obtain their desired aesthetic and cosmetic results.